It’s never easy to hire top talent. The best candidates are usually courted before they’re even looking for a new job and they usually have their pick of offers. If one company can’t meet the candidate’s compensation requirements, there are others that will. The trouble is, sales managers know all too well that hiring the right sales leader is crucial to organizational success. The right leader can set the stage for both revenue growth and company growth. Whereas, the wrong leader can lead to wasted resources, stagnant sales and disastrous changes in company direction. We’ve compiled several tips to help you recruit and hire the right sales executive. You can use these tips yourself or share them with any recruiters in Milwaukee that you may have partnered with. Sales managers must be great people leaders, not just good salespeople. After all, the primary job of the sales manager is to manage the other sales staff. 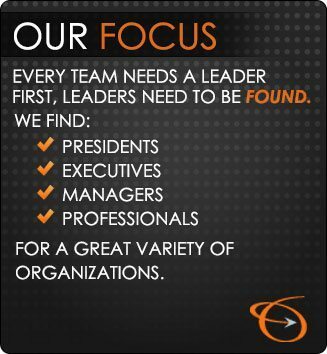 You want someone who has a proven record of finding, recruiting and developing team members who are effective. That takes work. It takes mentoring each team member, identifying his or her individual strengths and weaknesses and being a team player. These qualities are much more difficult to find than just sales ability. Don’t be afraid to reach out to those applicants who may not have the top sales numbers, but who have proven themselves in leadership capacities. Everyone is motivated by different things. Sales managers are no different. If you understand a candidate’s goals or motivating factors, you can more easily imagine how they will respond to your organization. Are they motivated by a desire to compete with others or to beat their own previous sales numbers? Are they motivated by compensation? Find out the answer to this question ahead of time so you don’t make the mistake of hiring someone who is not a good fit or who is always on the lookout for the next opportunity. Top sales leaders have a reputation for alienating their colleagues as their egos grow with their success. A team member with too much ego can be difficult to manage. While it may have served the sales pro well in the field, it can backfire when it comes to managing others who may feel offended or insulted by the manager. That kind of treatment will make it hard for subordinates to respond well to the new sales leader, making him or her ineffective as a manager. Sales leaders must possess good judgment. They should understand the circumstances surrounding the job and be able to identify and develop talent in the team – or cut team members who are not performing. This all comes down to practicing good judgment – with team members and with clients. Similar to #1 above, a good sales manager will invest time and resources to help their staff succeed. They will provide employees with the support needed to advance and develop in their jobs and career. Support can come in the form of seminars, training or even joining the employee on sales calls or introducing him or her to important customers. A good sales manager will recognize the contribution and value that each staff member contributes to the team and will work hard to develop employees and reward their performance. Recruiters in Milwaukee are well-versed at identifying the traits needed among sales leaders and can be a great asset to organizations that need to recruit sales managers. Finding and recruiting such leaders takes time and effort, especially if your organization doesn’t have access to the pool of candidates you need. Recruiters do have this access and can do much of the legwork for you. To learn more about how recruiters in Milwaukee can help you find the talent you need, contact The Lawler Group at 262-241-1600.